The Silver Fox Casino is one of the slickest online casinos out there, with a strong focus on game variety, promotions and a generous welcome bonus. There are plenty of slot games, progressive jackpots, table and card games and live dealer casino games. The casino’s mascot is a fox, their dashing ambassador, he sings and performs in the spotlight along with a smaller saxophone playing fox. The background is designed in such a way as to let you believe you’re in a jazz club with jazz sounds filling the night sky. The site itself is very fun, user friendly, and easy to navigate through the various sections. Founded in 2017, Silver Fox Casino was started with the goal of providing the gambler with quality entertainment in a regulated, licensed, secure and fun online gaming environment. 128-bit SSL technology is used to protect customer information and the website is protected by a firewall which ensures total safety. Located in Malta, Silver Fox is licensed by the Malta Gaming Authority and the UK Gambling Commission and is operated by ProgressPlay Limited, a Maltese company that operates dozens of other online casinos. Silver Fox Casino offers a simple Welcome bonus of a 100% match on a minimum of $/€10 and up to a maximum of $/€200. There is a wagering requirement on the bonus amount of 50 x. This means the bonus has to be wagered fifty time before the winnings are allowed to be withdrawn. Slot games contribute 100% towards meeting the wagering requirements, video poker contributes 5% and table games contribute 10%. Before accepting a bonus, we suggest you read the Terms and Conditions very carefully as they detail and outline what you need to do to fulfil playthrough requirements. The casino also offers 10 free spins on sign up, playable on Starburst, the very popular NetEnt slot game. They also offer 25 free spins on the first deposit playable on Warlords Crystals of Power. There are many promotions offered during the week. These promotions are jam packed with bonus offerings and free spins, for example, the Winter slots wonderland bonus is a 30% bonus match on a minimum deposit of $/€20 and a maximum up to $/€300. There are also 60 free spins offered on Hold The Safe by depositing $/€50 or more and 30 free spins on Celtic Goddess if you deposit $/€20 or more. The bonus must be wagered 50 times before players are allowed to withdraw their winnings. The casino also hosts tournaments like the very popular live dealer Blackjack tournament with incredible prizes for not only the winners but also for players who manage top 3. Roulette enthusiasts can claim a 25% cashback bonus on Live Roulette during the weekends. The wagering requirement is also 50 x with a seven day deadline to use the bonus. As for withdrawal timeframes, it all depends on which method you choose but usually wire transfers take between 7 to 10 business days, credit and debit cards between 6-8 working days and eWallets are much quicker at just 24 to 48 hours. Silver Fox casino works with currency GBP, USD, SEK and EUR. Most of the modern online casinos lean heavily on their selection of slot games, and Silver Fox Casino doesn’t deviate from this successful formula. They have a massive selection of slot games and you can choose everything from classic slot machines to brand new games based on popular TV shows and movies. When you need a break from the slots, you can try the table and card games and scratch card games. With some top quality software developers featured at this casino like Microgaming, NetEnt, NYX, Thunderkick and Big Time Gaming, you’ll be spoilt for choice. Every game can be played in demo mode, which allows you to get a feel for the game before playing with real money. Why not try Jungle Jim El Dorado, a 3D Microgaming slot game released in 2016. It features an interesting theme, the quest for the land of riches, El Dorado. Another favourite with slots gamers is Jurassic World, based on the 2015 blockbuster film. The graphics are visually incredible and you’ll see many favourite characters featured in the movie including Velociraptors and Tyrannosaurus. A useful feature at this casino is the detailed list of slot games and their Return to Player (RTP) payouts. If you enjoy playing slot games with a higher RTP percentage, try the Venetian Rose slot by NextGen Gaming. It has a RTP range of 99%-100% not often found in slot games. Live dealer casino games have been designed for the player to experience a truly immersive gaming experience which feels as if they’re playing in a real casino from the comfort of their home. Roulette, Blackjack, Baccarat and many other table and card games are played in real time allowing players to interact with the dealer via live chat. If you’ve never played live dealer games, you should definitively give it a go. This is cutting edge technology at its very best and at Silver Fox casino you’ll find live dealer games including live French and American Roulette and a variety of live Blackjack, Baccarat and Texas Hold’em casino games. What is sadly missing is at least one live dealer Poker table. For some great on the go gaming, this online casino offers a great HD gaming experience for mobiles and tablets. Silver Fox Casino’s software platform is compatible with several devices and as it is built on the robust foundation of HTML5 technology, you won’t need to create a separate gaming account just for mobile gaming. For the more security conscious, Silver Fox Mobile Casino is safe and secure as it uses the latest encryption and firewall technology to keep your details safe and secure. Whether you prefer your Android or Apple mobile, you will have no problem enjoying a large selection of slot and table games while you are on the move. It’s not necessary to download an app, just log in via your mobile or tablet browser. Silver Fox casino has been licensed by both the UK Gambling Commission and the Malta Gaming Authority. 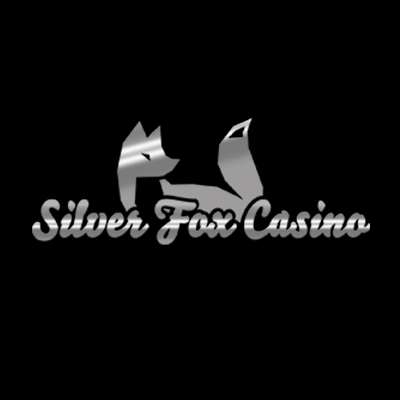 Licensed in 2017 by ProgressPlay Limited, a company licensed to offer online casino gaming services by the Malta Gaming Authority and the UK Gambling Commission, Silver Fox online casino is dedicated to issues such as safety and security, game fairness, responsible gambling and customer care. According to the law, you need to be at least 18 years or older to play for real money at Silver Fox Casino. Silver Fox casino is dedicated to combatting gambling addiction and they encourage players to set daily, monthly and weekly deposit limits to manage their bankrolls. They also promote exclusion which is a right for the player to exclude themselves from any casino gaming services if they feel that they are gambling too much. The online casino has partnered with Gamblers Anonymous, GamCare and Gordon House Association to offer support to players with a gambling problem. When you play casino games at Silver Fox, you can be assured of a safe and secure gambling experience as the online casino uses the latest 128-bit SSL encryption technology. This will safely transfer sensitive data to secure servers protected by firewalls. Silver Fox casino is restricted in countries including Italy, Spain, Greece, Israel, Belgium, Portugal, Cyprus, Denmark, Turkey, Lithuania, Hungary, Serbia, Slovenia, Belize, Croatia, The United States of America and the United States Minor Outlying Islands, France, Romania, Bulgaria, the British Virgin Islands and Luxembourg. Silver Fox Casino offers 24/7 customer support for all players and you can contact a customer service member either via the live chat platform or via email. As soon as you click on the live chat box on their website it opens and in a few seconds someone will attend to your query. If you are sending an email, fill out the online form and you’ll have an answer within a few hours. The site also features an FAQ section, where you will find questions and answers on numerous topics, like casino games, verification, how to register and withdrawals. A very appealing and bright online casino, Silver Fox Casino offers an experience similar to that of Las Vegas with a mega catalogue of slot games, table and card games for desktop, mobile and tablet. If you want more than just access to more slot games that you will ever have time to play, Roulette, Blackjack and Texas Hold’em will add to your gaming excitement. Silver Fox casino bonus offerings, promotions and casino experience will keep wanting to come back for more and with new games added into their games collection on a regular basis along with an excellent customer service team and a large variety of deposit and withdrawal methods, Silver Fox casino is a really great online casino to play at.